It feels like a lot has been going at my hobby desk of late, but very little progress is being made. I think this happens to all of us, but I realised it has been a couple of weeks since I posted anything here so I thought I ought to show you something, even if it’s not that much. As many of you will know, I’m currently working on a Stormraven for the Mortifactors and there has been some progress on that. Some. Basically, I’m doing the boring underside first (speaking from experience, it’s the right way round to do it) and that’s probably why I’m not so motivated to get on with it at the moment. 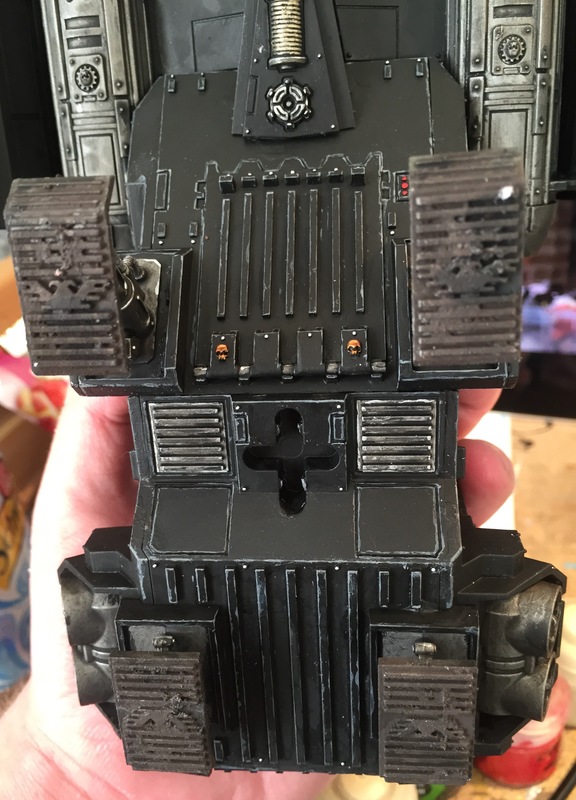 It takes a lot of edge work, and that’s even before I get to the cleaning up, detailing and the weathering aspects of it. There’s still a whole heap to do, but it’s slow, and I’m getting easily distracted by pretty much anything else. One thing that isn’t distracting me though are my Devestators. Two are done as you may have seen in an a older post, but three of them are just sat there looking undone and a bit sad. I need to get back onto these quick as I don’t want to lose interest in them. Oh, the guilt. 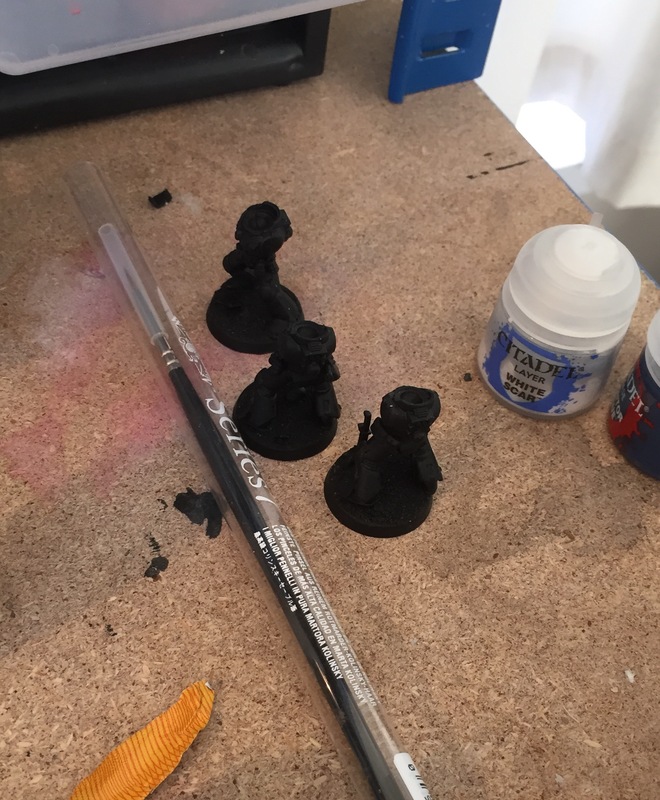 Not only do I feel sorry for my little unfinished toy soldiers, but I feel guilty for myself and for having to show you three unpainted, unbuilt miniatures. It’s just not on. Not much I can do about it with the heavy work load I’ve got on right now, but one day. And soon. Hopefully. And while I’ll leave you guessing on that one for a while, I would like to crow a little about one of my previous posts on this blog regarding the Mechanicum release. I think I did rather well really with my predictions. Ok, there’s a lot I didn’t get right and to be honest I think GW missed a trick not releasing a Magos or Master in a clam pack. However, I did say A dual walker kit would be coming (and it did), and a dual 10 man infantry kit (and that did too), and I also called ‘no Legio Cybernetica (and there was none). So I’d like to say I did alright with that. Might have another go for the upcoming Eldar Craftworld Codex, but I’ll leave that for another post. And that’s about it from me this week. I shall try and do more and get more shiny things to show you. 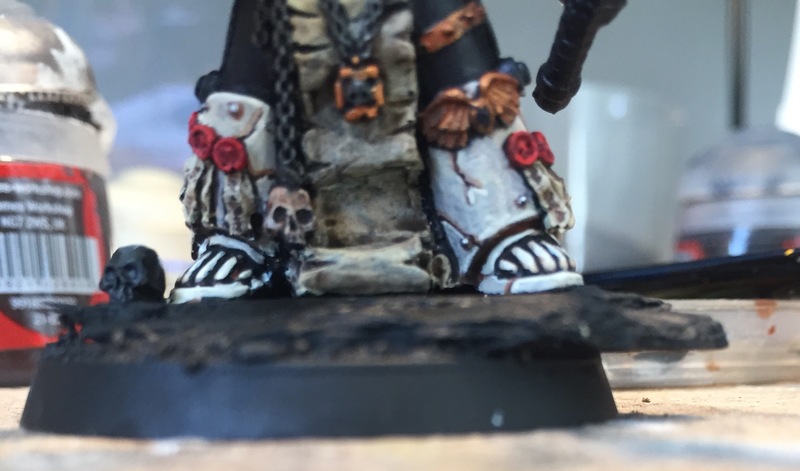 I may take a minor break from the Mortifactors soon as I think the black and bone scheme is starting to get to me a little, but rest assured that I’m still enjoying the project and I am still looking forward to doing much more with it. Onwards!